When a new client comes for a Compassionate Clearing, I like to clear entities first. Most people walk in with a variety of entities (unseen beings who attach to our energy fields), and entities can interfere with their clearing. Sometimes, clients will come with a ghost or two attached. 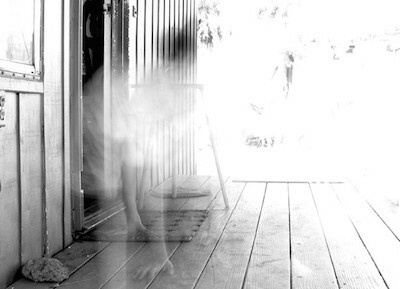 For the most part, ghosts don’t belong here, and I call those beings lost souls. The majority of souls head back to the Light when they die to begin the process of review and plans for their future. Yet, many leave some aspect of themselves behind to comfort the bereaved. Depending on need, they can stay a week or so, or they can hang out five or more years. In some cases, they return after many years for quick messages. These ghosts will console those left behind with small gestures to let the living know they are okay, such as entering their dreams to give words of comfort or wisdom. These dreams will feel very real because they are. Your loved one may manage to exude a smell that is familiar, such as grandpa’s aftershave, grandma’s banana bread, or flowers. When you notice a familiar smell that reminds you of your loved one, it is significant. Pay attention for the message. In my most intense experience, it was flowers. When my father died, the church was filled with the smell of carnations. For years, I hated that smell, as it reminded me that my daddy was gone. At some point, I forgot. Years later when I was in college, struggling with chemistry, Daddy, who was a medical doctor, contacted me several times to let me know he was helping me with my studies. He was somehow creating that carnation smell in the middle of winter. The deceased may also manage to direct your attention to a song on the radio to give you a message, or whisper in your thought processes. He may direct you to speak to a stranger who gives you a hidden message. It may be a concerned grandfather of a neglected child who only wants the best, but stays much too long after death and tries to direct the child’s life indefinitely. It may be an angry person, still intent upon revenge. (Watch out!) It may be someone who is really upset to be dead, and is looking for a host with whom to ride. It often is a former person who worries that he is going to hell once he leaves the earth plane, so he attaches to someone or something. There are many reasons for souls to try to stay earthbound. However, I believe that the natural order of things is to resume one’s spiritual progress in other realms. While it’s important that souls move on with their spiritual work, they may need to be coerced. It’s my job to get them to do so. 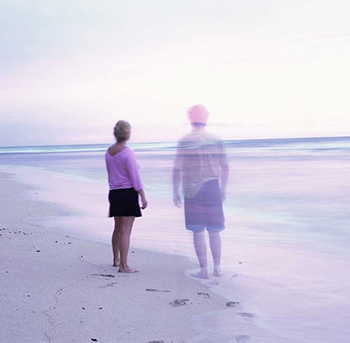 If a deceased loved one hovers nearby soon after his transition, enjoy his presence – that is, if you like having him around. However, be sure to not encourage him to stay too long. He needs to be moving forward in his own spiritual progress.